Carly Watters is a literary agent at the P.S. 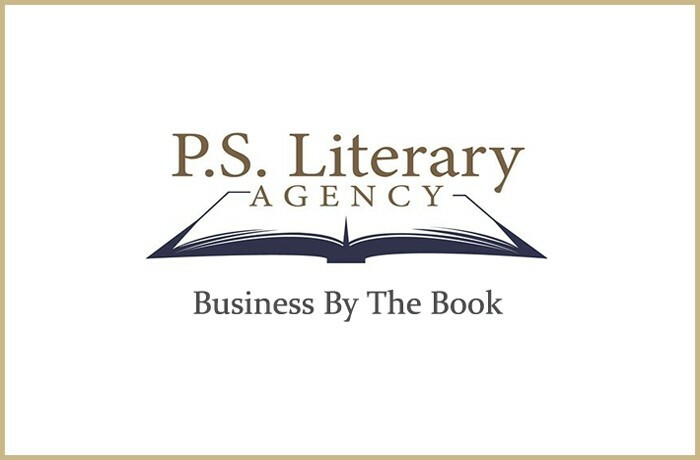 Literary Agency in Toronto, Canada. They were only founded in 2005 and yet they have already established themselves as one of the finest agencies not just in Canada, but throughout the industry. This success has been built on maintaining a select list of clients in order to devote equal time to all. This, combined with their regular attendance at writing conferences and festivals throughout the world, where they encourage writers from any country to contact them for representation, has seen the P.S. Literary Agency become a popular agency for unpublished writers. Simultaneous to studying for an MA in Publishing Studies at university, Carly Watters joined one of London’s largest literary agencies, the Darley Anderson Literary, TV and Film Agency, as a Literary Agency Assistant. Working for some of the most well known agents in the business and their roster of best-selling authors enabled Carly to gain invaluable experience about the inner workings of a literary agency. In 2010 her publishing career progressed even further with a six-month contract assisting the Bloomsbury rights department. This predominantly focused on the preparation for the London and Bologna Book Fairs, two of the busiest periods in any publisher's calendar. As a result, Carly was induated with a variety of duties and responsibilities which helped her gain a deeper understanding of the industry from the perspective of a publisher. Later the same year, she moved back to Toronto to join the P.S. Literary Agency as a Literary Agent. In just a few short years she has built an impressive client list and actively seeks out the next stars of literature throughout the world to add to this list. When you studied English Literature at university did this research-intensive course develop your analytical skills to quickly ascertain what elevates one book opening over another? Studying English Lit gave me the skills and confidence to think critically about literature. However, I did a very traditional degree that didn't have a major focus on contemporary books. I think studying literature gives you the opportunity to learn your own tastes (which is a crucial agent skill), and think about how the publishing industry is shaped by culture and vice versa (something I as an agent think about everyday). As a student of literature you don't have a choice about what you read. So you make decisions about how you feel about themes, human nature, history, geography, politics, and psychology through the eyes of characters that you might like or dislike. Some major influencers for me were Faulkner, Hemingway, Henry James, and Coetzee. So I wouldn't say that I learned much about hooking a reader, but more about the role and value of literature in society and what reading teaches us about what matters most: learning about ourselves and human nature. I'm an emotional reader, what can I say? As part of your MA in Publishing your thesis focused on the impact of literary prizes on the industry. What did you deduce within your paper? And which conclusions would you now alter based on the insights you have only been privy to by working in publishing yourself? How much time do we have? Kidding. My research centred around the question: What are the sales figure benefits of being nominated and then winning a major literary prize? I used a case study analysis so the numbers I pulled are not a guarantee for all winners, but speaks to the general impact of well-known prizes on the book trade. I did my MA in Publishing in the UK so my numbers are UK specific. I did an examination of the Man Booker Prize, the prize formerly known as the Orange Prize for Fiction (now called the Women's Prize for Fiction), and the Boeke Prize. I focused on titles like Mantel's Wolf Hall and I found that sales revenue increased by over 7,000% prior to the Man Booker Prizes' nomination versus after the win. However, this is a very special book. The average literary prize winner in 2010 saw a sales volume increase of 200,000 copies. The average shortlisted author saw an increase in volume of 25,000 copies. Another figure that is powerful is when the publisher does a reprint or puts a sticker on the cover to announce a prize nomination or win the sales figures increase by 32.6%. So if you are nominated or win book prizes make sure you show it on your book's cover! Winning literary prizes increases sales, boosts backlist sales, helps to secure sub-rights (film, TV, translation), gives authors additional media coverage, and gives authors the prestige of cultural value. My passion for the subject comes from the idea that a room full of judges decide on what's 'good' literature, impacts canon formation, influences consumer choices, and has a powerful say in the contemporary book culture zeitgeist and the economics of book culture. In your first experience at a literary agency, you worked as an assistant at one of London's busiest agencies. Did this in itself create additional pressures in having to grasp the intricacies of the business even quicker? And how do you feel it may contrast to learning the ropes at a smaller agency? I will always be so grateful that I was able to learn the publishing business through both academia at City University London and simultaneously in the industry at the Darley Anderson Literary, TV and Film Agency. I was doing these two things at the same time. It was expected that I learn quickly, but in the position as a literary agency assistant to five full-time agents you see things through their eyes in each assignment they give you (sales reports, readers reports, taking minutes at agency meetings, slush pile reading) and you have to be smart to be able to connect the dots from those tasks into an idea about how the business works and what agents do on a day-to-day basis. Darley has some wonderfully high profile authors on his roster—like Tana French, Lee Child, Martina Cole and many more—so I learned from the earliest stage in my career that clients come first and their success is dependent on you working hard for them domestically and abroad. At smaller agencies (and publishing houses) entry-level jobs are a combination of many things which can also provide a fruitful learning experience. I think the pace can be slower and the stakes not so high at smaller agencies, but most small agencies are looking to grow into large agencies so it depends on what time you join the company and your role in it. I will say that this is just my opinion and it could be that the fast pace and high stakes could have just been the impression from someone's first job in publishing. No matter what size of agency, learning the ropes depends on your mentor. When your career path switched to the rights department at a leading publisher, were you able to distinguish the more persuasive negotiators you liaised with at literary agencies? And through this experience have you been able to incorporate these negotiating skills now that you have returned to the literary agent side of the business? I didn't interact with agents directly during my time at Bloomsbury. I assisted the rights department around two book fairs (Bologna and London) which meant editing catalogue copy, preparing manuscripts to give to foreign editors at the fair, cataloguing contracts, sitting in on acquisition meetings and more. I will say that having briefly been at a publishing house and then going back to an agency I did take away some valuable information that helps me do my job as an agent. I know how busy contracts and rights departments are. I know when to hammer at a clause and when to back off. I know what rights are better off for a publisher to handle for certain reasons and which rights agents need to keep. You joined P.S. Literary Agency just five years after it opened its doors. How challenging has it been for yourself and your colleagues to build both the client list and the agency's reputation and stature in a competitive publishing marketplace? Great question. I knew that as a new agent I would have to work extremely hard to convince writers whose work I love to join me on my budding list. However, I found it easier than I thought (albeit lots of hard work) because all writers really want is an agent who loves their work, knows the industry and how to sell it, and will have time for their questions and concerns. I was able to give my authors—and still provide them with—all those things. On the non fiction side of things our agency is well-known in Canada for representing high profile clients and TV personalities so I had that behind me when I went out looking for great non fiction projects. Our agency's philosophy is to work with talented writers on quality projects and do the leg work (concept creation, proposals, manuscripts etc) for them so they are attractive projects for editors and consumers. You're right—it's a competitive marketplace, but I see it as a great opportunity. A literary agent will invariably invest a great deal of time in a client. How difficult is it to determine upon meeting a new client if that partnership will be one that you can sustain? You're right, we initially put a lot of time into our clients unknowing if we will sell their book. Once I read a manuscript that I'm head over heels with I take a step back, read their author bio again, check their Twitter and blog feeds and then set up a call with them to see if we'd be a fit. I always check online personas to see what platform they have and how professional they are. I am often not able to meet clients face to face because they don't live near by. I want to work with writers who are talented and courteous. My philosophy is that life is too short to work with authors that aren't the right fit for me as an agent. That doesn't mean that we have to be best friends, but I want to know that we'll have a strong partnership of trust, communication, and similar visions for their career. Back to the initial phone call—we don't often blurt out off the bat: 'I'm offering representation.' We chat with you to ask questions about your work, your career ambitions, and get a feel for your personality. That first phone call gives some indicators to whether we'd be a good fit. However, sometimes it's not until later that we realize it's not a sustainable partnership and have to let a client go. It has to be a fit both ways, so writers reading this know that you don't have to accept any representation offer that comes your way. You are also looking for the best fit for yourself. Do you encourage writers who live outside of Canada and the US to only send you their submissions if their book is set in one of those two countries? And would you only sign such a client if they were prepared to come to Canada for a meeting? I want to emphasize that we represent authors from all over the world whose books are set all over the world. It is absolutely not a prerequisite that they be Canadian or any other nationality. As I mentioned above, I have clients whom I've never met because they live far away. The majority of fiction writers I represent are American because that is where our bulk of submissions come from. A good agent can represent authors anywhere provided they know the market the book fits into and can sell it there. I sell my clients into the US and Canada domestically, and our agency has a foreign rights agent (Taryn Fagerness) who sells our clients' work abroad. For example, I sold my client Taylor Jenkins Reid's debut novel Forever, Interrupted (July 2013) and a second book to Atria/Simon & Schuster and our foreign rights agent has already sold it in Italy, Germany and the Netherlands on our behalf. Has a writer ever reacted inappropriately to a rejection from yourself or the agency? I don't think it would be polite for me to go down this rabbit hole, but yes rude replies happen more often than people think. I understand it's frustrating for a writer when they constantly get form rejections, but never send back something rude and obnoxious. It might feel better for them at the time, but it's extremely unprofessional and confirms why we are not working with them. How could we represent someone that would inappropriately lash out at us verbally knowing that we would be putting them in contact with others in the industry? If they rudely reply to us, how would they reply to their editor's notes? Our reputation is on the line too, so those people who attack our form rejections don't deserve a place in the industry, in my eyes. With an ever-expanding list of authors and the demands of your frequent guest talks at writing events, are you in any way concerned that one day your excellent blog on the publishing industry may become neglected and new posts scarce? That's a question I've been thinking about for a number of months. I'm extremely proud of the work I've put up on my blog, but at some point I will have written all I can on query letters and conference etiquette. I am soon going to move to a once a week posting schedule featuring the usual creative writing and social media marketing tips with a splash of posts about client books and announcements. I am also thinking about alternative ways of being a resource for authors so we'll see where that leads. I'll keep you updated. Would you encourage a new author to join Twitter to promote their work? Or would you prefer they kept their social networking presence to a minimum in order to deliver you their next book quicker? Twitter is an amazing resource and I would highly recommend writers joining. Not only is it another creative outlet (when used sparingly) but it is a way to build a community for yourself. Writing is solitary activity so having an online outlet to chat about common issues is fantastic. None of my clients really go overboard with Twitter at the expense of their writing. They're all great at balancing both aspects of promotion and creation. What particular genres are you actively looking to represent right now? And how should potential clients contact you with their submissions? I am looking for emotionally gripping women's fiction, memoirs, and YA. I want to laugh and I want to cry. I want to work with quality writing and authors that are serious about a career in publishing. I am looking for original non fiction. I look for non fiction authors with terrific platforms and who are experts in their field: TV hosts, chefs, journalists, and more. Please query me via email only, no attachments, at query (at) psliterary.com with the subject heading: QUERY: BOOK TITLE. Our agency does not accept queries in the mail. Thanks for the interview, James. I look forward to seeing some submissions from writers who have read this interview.